Thank you to all our amazing parents for coming out to support our school on Friday night at our Adult Fundraiser! It was a night filled with comradery, laughter, and joy! Our PTA is top notch! Thank you for planning a wonderful night for all of us! California Assessment of Student Performance and Progress (CAASPP) will take place May 6-10 for all students in grades 3-6. Please mark your calendars for these important dates. It is vital that our students get a good night’s rest and a nutritious breakfast to do their very best. Kindergarten and Transitional Kindergarten registration for the 2019-2020 school year is underway. Students who will be five years of age on or before September 1, 2019 are eligible for Kindergarten and students who will be five years of age between September 2 and December 2, 2019 are eligible for Transitional Kindergarten. 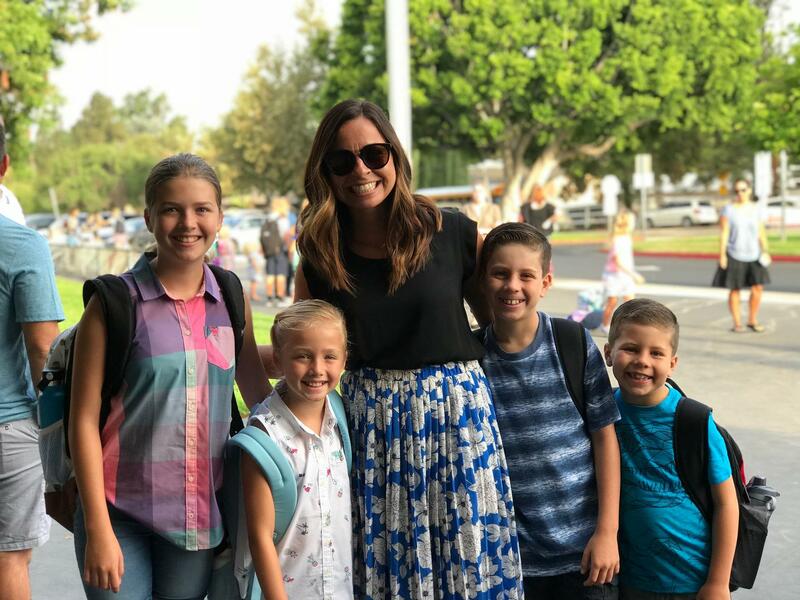 Please note the registration process is required for all students entering Kindergarten and TK, even if the child is currently enrolled in a Fullerton School District preschool. Please contact the office to begin the registration process, 714-447-7720. 1st Grade- First grade has begun their study of shadows, the sun and the moon. The students used flashlights to represent the sun and tried to change the shadow of a stationary object. They had fun tracing their shadow and observing how it changed throughout the day. Narrative Writing will be the focus for the rest of the school year during Writer's Workshop. We are working on Data Collection and time to the hour and half hour in math. 6th Grade- 6th graders had a fantastic time at Science Camp, and an incredibly busy weekend at the FSD Fest, completing CoDrone and PowerUp challenges and presenting their passion projects. Hermosa will be having its own Hermosa Fest, with passion projects on display for everyone to see! Attendance is so incredibly vital to a student’s academic success! We strive to have all our students in class every weekday on time. Every day at Hermosa counts! Teachers take roll when students line-up in the morning. Please help your student to be on time by having him/her in line before 8:00 AM. We are striving for 98% attendance or better. Please arrive early to avoid traffic and parking congestion. Please be kind and courteous to our neighbors and one another during drop-off and pick-up. Please do not block driveways or fire hydrants nor park in undesignated areas (ie. loading zone & bus lane). Please help us to remind students that they must wait on school campus to be picked-up. For student safety and supervision, students are not allowed to wait at the park. Thank you! Delta Math Club this Monday and Tuesday from 2:20-3:50 PM. Kids Run the OC Practice this Tuesday (K-2nd) and Thursday (3rd-6th) from 2:30-3:30 PM. Spirit Day: Wear Blue for Autism Awareness this Wednesday. Dress as a character in one of your favorite books! School Site Council (SSC) Meeting this Thursday in room 18 at 2:30 PM. All are welcome to attend! Fullerton Rangers Soccer Practice on Friday from 2:30-3:30 PM. Please contact the front office if you have any questions. We look forward to seeing your smiling faces tomorrow morning at 8 AM. Have a HAWKtastic evening!